The Renaissance did not “formally” begin historically until 1100 A.D. as the pen of Anselm of Canterbury began to write his voluminous contributions toward Christian thought. He wrote Monologion, Proslogian, On the Grammarian, and Epistle on the Incarnation of the Word. His method of writings was to pose a theological problem and then solve it not on the basis of Scripture or the ancients, but upon reason. After this, he would traverse Scripture and prove that his reason was not merely speculative. Anselm is most noted for his “proofs” for God. His arguments may be condensed into one where he says: if things have different degrees of goodness, being, and value, these – goodness, being and value – must have a separate existence above and apart from visible things. In the case of being, one can say that things are because they participate in being, that is, they subsist not in themselves but in another. That “other” is being itself. Since being itself cannot be more than one, one must further say that this is the supreme being or highest good. Anselm thought this was too cumbersome and had too many steps to it. In his Proslogian he made the argument simpler: something that which nothing greater can be thought exists in the mind. Therefore, God exists both in the mind and in reality. This argument was not simply accepted without question. Gaunilo, a monk at Marmoutiers, raised objections. First, he did not think that atheists thought about that which nothing greater than itself could be conceived. Secondly, he objected to the way Anselm moved from the idea of the thing to the thing itself in reality. Anselm’s arguments are valid only within the framework of certain presuppositions that are not universally accepted. Theories before epistemology must be traversed before Anselm’s ideas can be accepted. A second influential figure at this time was Peter Abelard. He was born in Brittany in 1079 and showed exceptional intellectual ability from an early age. He was a disciple of William of Champeaux and later became a philosophy and theology teacher in Paris. His most important work in philosophy is his Dialectics, and in theology are Introduction to Theology, Christian Theology and Sic et non (Yes and No). He is known for advancing the “theological method of study”, the doctrine of Christ, and his ideas on ethics. At the same time, he was condemned as a heretic on a number of issues. For example: that Christ did not take on flesh to free us from the yoke of the devil, or that free will suffices to do some good, or that we have not received the guilt of Adam, but only the penalty, or that those who crucified Christ did not sin, for they did not know what they were doing, and that there is no guilt in that which is done out of ignorance, or that the power to bind and unbind was given only to the apostles, and not to their successors. The School of St. Victor was founded by William of Champeaux. William had studied under Roscelin of Compiegne. He rejected the extreme Nominalism of Roscelin for a position of extreme realism. His successor, Hugh of St. Victor, proposed that science should be used to propagate the knowledge of God and that all truth leads to God. Hugh was both a mystic and theologian. He was somewhat of a middle ground between the mystics of the day and the dialectics of the day. Richard of Saint victor, Hugh’s successor, was a native of Scotland and continued Hugh’s tradtion joining speculative mysticism with rational theology. Peter, known as Lombard, arrived in Paris around the year 1130. He became closely tied to the School of Saint Victor, and then moved to Notre Dame to teach theology. Most noteworthy is his Sentences. Much of what is written in the Sentences is copied from an anonymous work called Summa of Sentences. He was not an extremist, and systematized his information in a way in which he walked the middle of the road giving enough information on each theological issue to satisfy every reader. It was the most widely read theological work of its day. The first book deals with God who is one and triune. The second book is about the doctrine of creation and include anthropology, the doctrine of grace and the doctrine of sin. 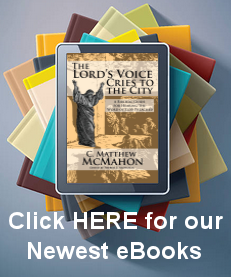 The third book deals with Christology, redemption, the virtues and gifts of the Holy Spirit, and the Commandments. The fourth book deals with the sacraments and eschatology. Schisms in the 12th century centered around such figures as Peter Waldo and the Waldensians. They were not allowed to preach by the archbishop of Lyons, and instead of listening, they decided to disregard his authority and preach anyway. They thought this was their God-given mission to do so. As a consequence they were condemned by the Council of Verona in 1184 A.D. Other schismatics were Amalric of Bena and David of Dinant who were both heretics and taught unorthodox doctrines, but relied heavily on Aristotle’s philosophy and metaphysics. As a result, in 1210 A.D. the Council of Paris not only banned their works, but also Aristotle’s books on metaphysics and natural philosophy. The most controversial schism and heretical movement in the 12th century was that of the Cathari or Albigenses. Catharism teaches that the universe is governed by two principles, one good the other evil. Creation is to be attributed to evil, not to God, who is the One good. Spirits are imprisoned in the matter of this world and need to be released. Christ is an ethereal being who took on the form of a human body in order to show us the way to salvation. In 1179 the Third Lateran Council called for a crusade against the Cathari, and later Pope Innocent III called for another crusade against them and defeated them by bloodshed. During the period after the Sixth Ecumenical Council and the Islamic Conquests the main Eastern church was still the Greek Orthodox or Byzantine, and kept bonds with the Western Church and the Council up to this point. There were a number of invasions that weakened the Byzantine empire until 717 A.D. when Leo III and his dynasty gave the empire new life. They strengthened the empire through economics and fiscal administration that was long overdue. However, though the secular aspects of the empire were flourishing, the religious aspects were in decline. Leo III began a religious policy that soon involved the empire, and even the Latin West, in bitter controversies. This policy surrounded the imposition of images. Through his reign and into his son’s reign (Constantine V) images were seen as idolatrous. This was known as the iconoclastic controversy. This began in 725 A.D. when Leo III ordered the destruction of an image to Christ to which miraculous powers were said to have been given. After Leo III’s death, as well as his son’s death, Leo IV, who was still a minor upon coming to the throne, was a puppet king to his mother Irene who invoked the use of images again through her son. A council was held in 787 A.D., which is usually called the Seventh Ecumenical council, and decreed the restoration of icons. However, in 815 A.D. Leo V returned to the iconoclastic controversy and outlawed all images. The controversy over the next few leaders went back and forth depending upon political expediency. In general, the popes supported images, while theologians rejected them. After the restoration of images in the Eastern Church, the Byzantine church remained divided in many ways. Political controversies around images arose (not theological) and as a result revolution began. In reality, theology drifted further and further away from Western orthodoxy and in 1054 the Great Schism took place where the Eastern Church divided ultimately from the orthodoxy of the Western Church. Russian and Bulgarian theology began to emerged, but not without controversial difficulty and tendencies toward Nestorianism and monphysitism.